When you hire My Wedding Officiant, you will be working with Charles J. Licciardi. This professional has performed over 500 weddings over the past 19 years. In this time, he has been able to meet all of the special requests and needs of clients at some of the most affordable rates. Working with this wedding minister means that you will be in total control of the script and the ceremony with the expert guidance of Charles throughout the planning process. After retiring from a career as an actual judge, Mary KK Norman, The Judge of Love, has performed countless wedding ceremonies. In the last 16 years, she has helped to create personalized scripts and ceremonies that have aspects of the couple’s personality with injections of Mary’s own humor. According to reviews, the style of ceremony that is performed by this professional is the absolute best. She creates the perfect balance of entertainment, romance and commitment to ensure each script is unique and is special for the couple. When you want to have a simple and intimate ceremony that is significant to you as a couple, then you can hire the New Orleans wedding officiants at Elope New Orleans. You can have a stress-free wedding that you are in total control of when you work with this company. A licensed professional will perform the ceremony in a beautiful location to mark the occasion. You can contact the company today and see if there is an officiant available for your desired time and date. Rev. 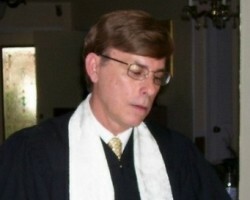 F Daniel Latour is a Louisiana native that is known for performing beautiful and personalized ceremonies throughout the state. 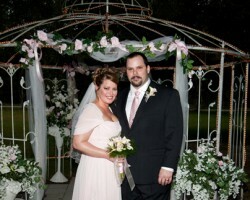 Dan has been helping couples plan their entire ceremonies, the script and performed the ceremony for over 20 years. In this time, he has also offered counseling for couples that wish to have more guidance from an expert before tying the knot. Though Rev. Dan is a non-denominational minister, he is able to perform ceremonies of all kinds and for all types of couples. 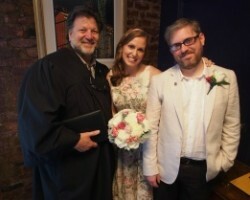 Having an experienced wedding officiant in New Orleans, LA can be the difference between having a stale and impersonal script and having a lively customized ceremony that is meaningful to you. This is why so many couples in Louisiana turn to Rev. Robert F. Patin. 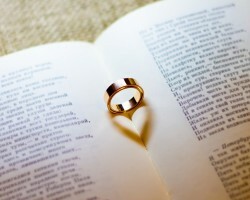 This expert has over 25 years of experience as a wedding officiant in the area. He is able to draw on this knowledge to make each ceremony he performs even more special and totally unique.